PRAY – Please consider if God is leading you to partner with us through prayer in supporting orphans world-wide, but particularly those in Haiti at this time. We know the power of prayer and believe it is crucial to have a team we can commission to pray for specific requests. You may follow our needs by signing up for our newsletter or by reading regular updates at The Titus Task Blog. Through the generosity of people in places such as NW Arkansas, many more orphans can be welcomed into loving families. GO – Maybe God is calling you to GO! Perhaps the best way to see God move is to make a move. A short term mission trip to Haiti will certainly provide a new perspective as well as a desire to love our neighbor. 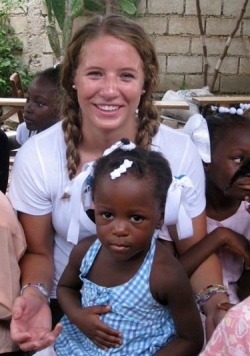 Please visit the Titus Task - Haiti Project page and the blog for information regarding future trips to Haiti.